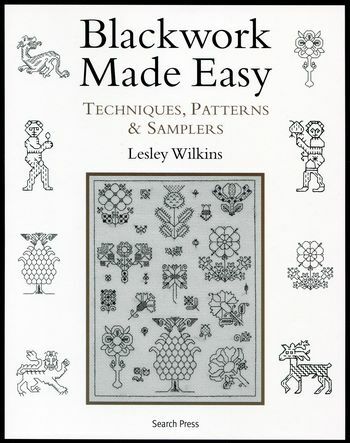 A 96-page softbound book, "Blackwork Made Easy, Techniques, Patterns & Samplers" by Lesley Wilkins shows how to create beautiful embroideries using simple stitches. It is packed with historical insight and inspiring embroideries. Step by step photographs provided for the stitches, and graphs for the patterns, motifs and band samplers.